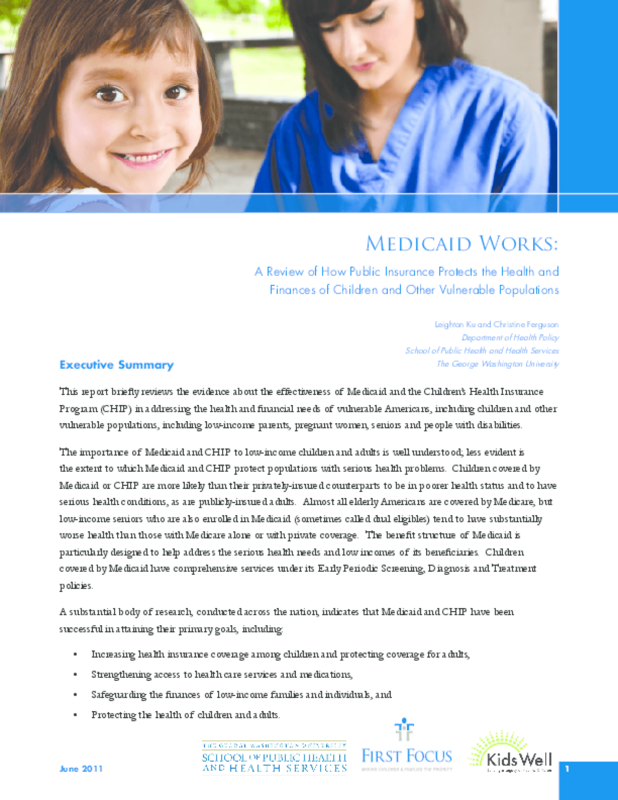 Examines the extent to which Medicaid and Children's Health Insurance Programs have secured and protected children's and adults' coverage, health, and family finances, while improving access to care and medications. Considers the impact of budget cuts. Copyright 2011 First Focus, George Washington University School of Public Health and Health Services.